You Can Make a Difference! Make a Donation Today! UrbanPromise International relies primarily on private individuals, churches, corporations, and foundations to finance our programs and operations, and we strive to manage our budget in the most cost-effective manner possible. In-kind gifts—non-monetary contributions of goods or services—enable us to direct the majority of dollars to our programming and youth. See our Wish List items for ways to give. Give a gift that keeps giving! Your gift allows our ministries to be sustainable! UrbanPromise International accepts any range of donations. Your gift—no matter how big or small—allows our organization to continue serving thousands of children and teens worldwide each year. Our ministries are quickly expanding and need your help. Over the past 9 years, our ministries have experienced rapid growth and seek to increase their capacity through additional classroom blocks, expanded program spaces, solar electricity, clean water initiatives, and more. Read about our latest successful capital project and learn how you can be part of this season of growth! 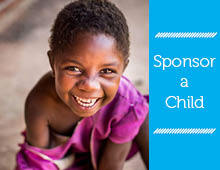 When you sponsor a child or youth through UrbanPromise International, you change a child’s life forever! With your support, our ministries are able to reach the children and youth in their communities through holistic programs. Children and youth have the opportunity to grow spiritually, socially, academically, and physically. Our ministries act as family for these children and youth, many of whom are coming from lifestyles of extreme poverty, broken homes, abuse, and circumstances that hold them back from their God-given potential. When you sponsor a child or youth with UrbanPromise International, you become a part of their extended family around the world. Helping them break free from the chains of their circumstances, and giving them the opportunity to hope for a brighter future. We believe that the most potent means for effecting change is through the development of indigenous leadership and have chosen to address the many challenges facing youth today through the cultivation and development of young visionaries. UrbanPromise International provides the means for empowering leaders to impact their communities through organizations that effectively meet the needs of local populations. We believe that by empowering others to establish deep roots of transformative love, children can thrive and hope for the next generation of leaders is born. 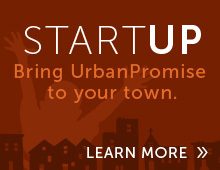 To bring a young leader to UrbanPromise International in Camden is $20 000/year. Other giving options include $25 for an international calling card, $50 for two weeks of food or $100 for a welcome kit.